The Elder tree grows almost like a weed in London. It’s associated with witches (they use it for their broomsticks), wizards (an Elder wand is the most powerful in Harry Potter), with death (turkey and peacocks will die if they consume the berries) and Judas reputedly hung himself from an Elder tree. It also has medicinal properties; a possible cure for flu, syphillis and mucus. The umbrella shaped white blooms are ready to be picked now, at the Pagan spring festival of Beltane. Pick these lemony almost gooseberry scented flowers in the morning, rather. In the afternoon they can start to smell a bit like cat’s piss. The berries will be ready in September, for Samhain, or Halloween. Heat the sugar and water to make a syrup. Pour the boiling water over the sliced lemons, zest, and elderflower heads. Leave to steep for 24 hours. Strain the cordial through a sieve or chinois and then through cheesecloth. Enjoy with champagne, or Victoria Moore’s suggestion, with white wine spritzer, or drizzled over icecream, or in desserts. Mix all the batter ingredients in a bowl, salt to taste. Don’t overwhisk the batter as it will become too tough. Heat the oil in a deep fat fryer to around 190C. 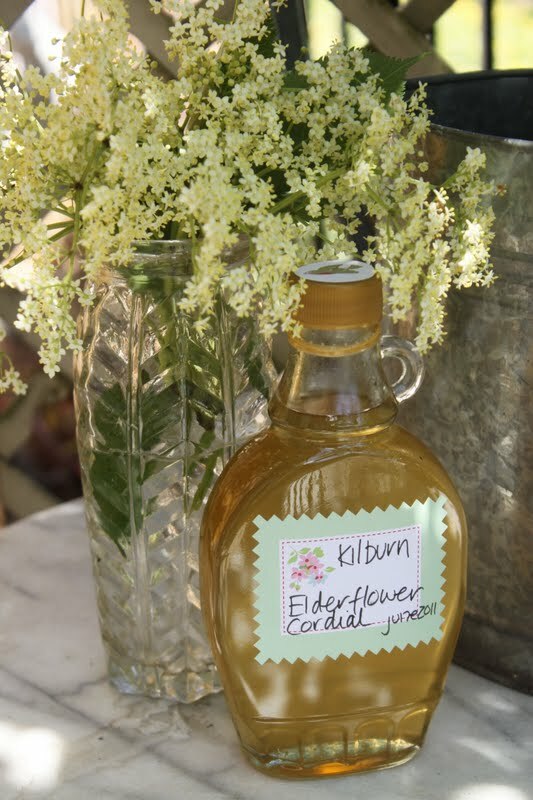 Dip the elderflowers lightly in the batter, then deep fry until lightly golden. Sprinkle with a little sea salt and serve immediately. Option: sweet Elderflower fritters. Replace the salt with sugar and sprinkle with sugar. A subtly flavoured soft drink. This again is in my book under the ‘flower menu’. Makes about 4 litres. Allow 2 to 4 days for this process. Pour the boiling water in a saucepan or bucket, add the sugar until dissolved. Then add the cold water, the Elderflowers, the white wine vinegar, the lemons. Let it cool. Add the yeast. Cover and leave to ferment for 2 to 4 days. Strain into a fresh container using a cheesecloth or chinois. Then funnel it into sterilised bottles. Keep in a cool place. Bottles can be either swing top or plastic. Leave room at the top for the gas to expand. If it’s getting too fizzy put it in the fridge. Serve cold, will last a year. In a bowl, mix together the crushed biscuits and melted butter. Press this mixture into the bottom of each of six glass ramekins. Bring the sugar to the boil in a pan. Let it cool. In a separate bowl, beat the cream cheese vanilla seeds, cooled sugar mixture and elderflower cordial together. Fold in the whipped cream. 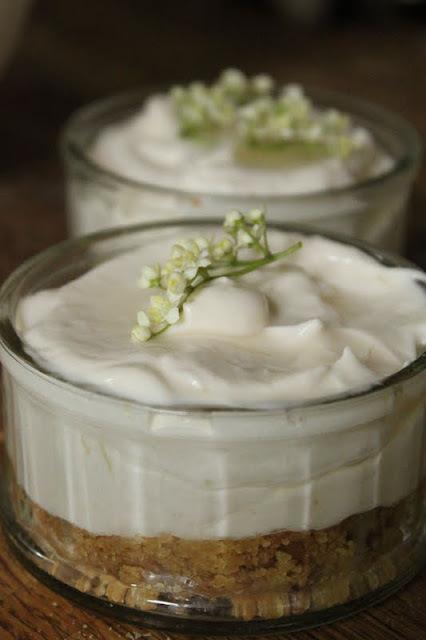 Spoon the mixture into the ramekins and garnish with a sprig of elderflower. 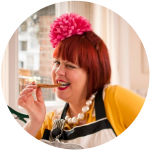 some fantastic recipes in this post. 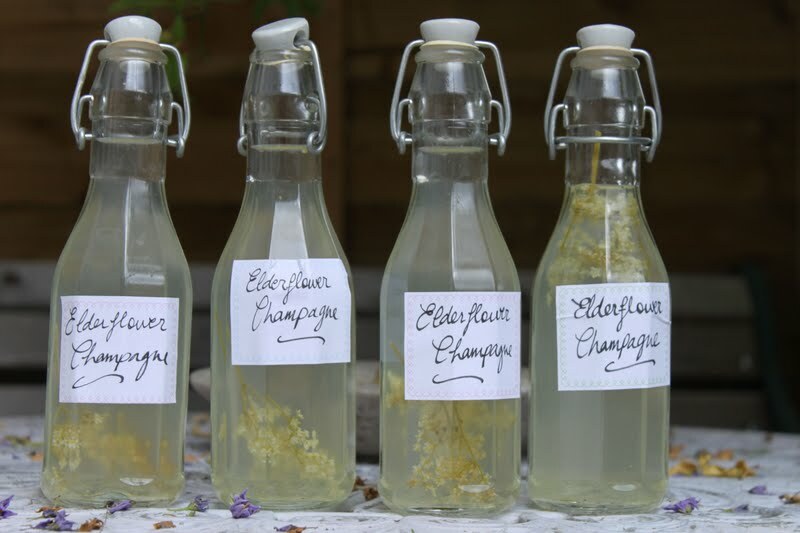 Thankyou for reminding me of all the many uses of elderflowers. the warm sun today made the garden smell of the spicey lemony taste of my elder trees. Lovely! 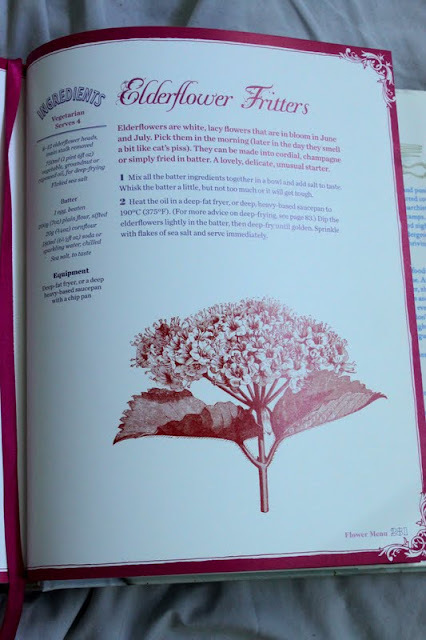 There are lots of blog posts about elderflowers at the moment .. but this one has the brilliant extra ingredient of fascinating facts about the history of elderflower & some fab photo's too. I make Elderflower Drizzle Cake. 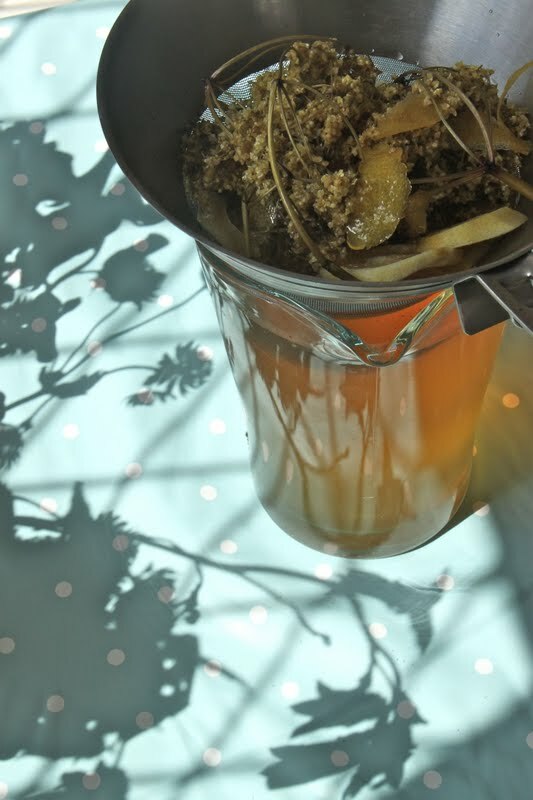 Stuff a teapot full of elderflowers and make a strong brew. Make a syrup from the tea, and pour it over a plain sponge cake. Leave for a few hours. Try to save some of the syrup to make a buttercream topping and / or filling. The elder wand is not "one of the most powerful", it's THE most powerful! Get it right! I wish I knew how to recognize elderflower in the wild. Love the recipes in your post.got here through a friend of yours Aldrey. the sprig on the cheesecake is the flower…smell it, it's so distinctive!